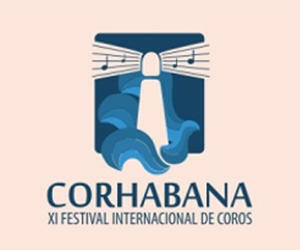 Cuban and foreign choirs will offer over twenty concerts from June 28 to July 2 in stages of Havana, during the 12th edition of the International Festival Corhabana 2016. The Festival will include the participation of choirs from countries like the United States, Mexico and Colombia, plus 10 professional Cuban groups and 19 children choirs to which the Festival is dedicated, said on Tuesday at a press conference director Digna Guerra, president of the Organizing Committee. The US choirs Coral Cantigas and Chicago Children’s Choir, Vocal Arte Ensemble of Colombia, and Coral of the Autonomous University of Ciudad Juarez, Mexico, are the foreign groups that have so far confirmed their attendance. Cuba will be represented by the groups Orfeon Santiago, Euterpe, Schola Cantorum Coralina, Camerata Vocale Sine Nomine and Emsemble Vocal Luna, among others. Premieres and special performances will characterize the Festival, which is sponsored by the National Center of Concert Music of the Cuban Music Institute. The opening concert will take place at the Saint Francis of Assisi Minor Basilica, and the closing concert at the Avellaneda Hall of the National Theater. Corhabana 2016 will have the Chamber of the National Museum of Fine Arts, the San Felipe Neri Oratorio, the Spanish-American Culture Center, the Victor Hugo Center and Ernesto Lecuona Hall of the Alicia Alonso Gran Teatro de La Habana as venues.